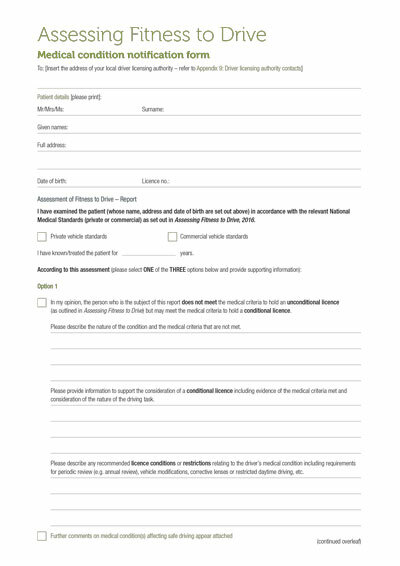 The medical notification form has been developed to facilitate communication between health professionals and driver licensing authorities. It may be used to summarise findings of a health assessment in terms of medical criteria met or not met and any recommendations for monitoring and review. This form is usually used when a fitness to drive issue arises in the course of normal treatment. 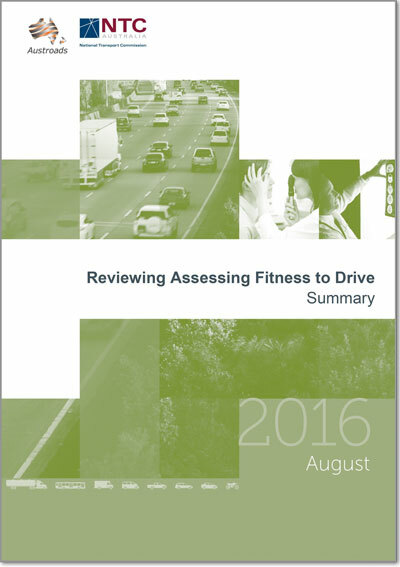 If a driver licensing authority requests a fitness to drive assessment they will provide the relevant forms. 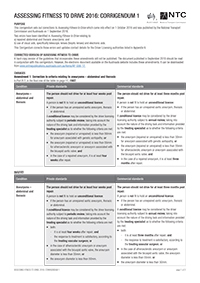 An information sheet has been developed to support communication between the health professional and the driver. 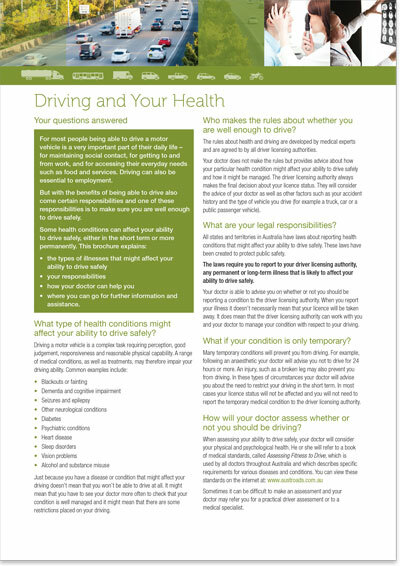 This outlines the main health conditions that may affect fitness to drive and the responsibilities of the driver to report to the licensing authority. 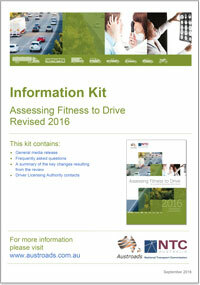 It also includes information about conditional licences and contact details for driver licensing authorities.